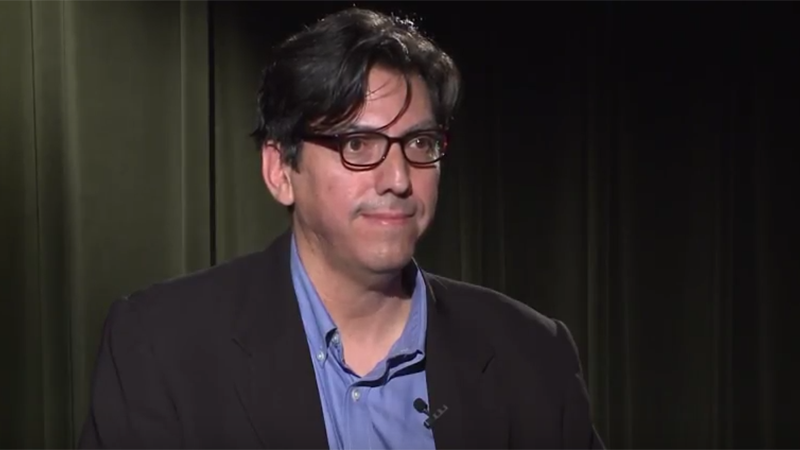 This week’s episode of “UO Today” features Christopher Chávez, a UO professor of advertising and media studies who has written award-winning research papers about ethnicity, race and Latino communications. The interview focuses on Chávez’s research, which looks at how global industries organize and reorganize collective identity and how marginalized communities can be empowered within the limits of market forces. He also delves into the programming and funding of public media like NPR and PBS, using the knowledge he gained during his 10 years as an advertising executive. Previously, Chávez said, the advertising world focused on the “otherness” and Spanish-speaking of Latinos when targeting them in an ad campaign, viewing them as outside mainstream culture and using language as a thread to tie together people hailing from multiple countries. But now that’s changing. Right now Latinos make up 16 percent of the population and is projected to dramatically increase that share in coming years — 1 in 3 kindergarteners in Oregon are Latino. So by appealing specifically to Latinos, companies can tap into a huge source of revenue. For more, watch the rest of the interview here. It’s produced by the Oregon Humanities Center in collaboration with UO Library’s Center for Media and Educational Technology. An archive of past interviews is available on the Oregon Humanities Center’s website, or on their YouTube channel.